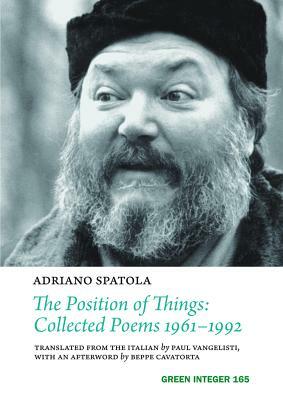 One of the great twentieth-century Italian poets, Adriano Spatola has been many things: a visual poet, a sound poet, a concrete poet, a linear poet, and editor of an innovative magazine, the founder of his "republics of poetry." This book bilingually represents his collected poems, representing all but the earliest of his works. Adriano Spatola (1941-1988) is the author of numerous books of poetry, and one of the leading I Novissimi movement in Italy. Spatola has long been considered an iconic figure in the Italian neo-avantgardes.